Ahead of Leeds’ Monday night game against Cardiff City, we’re joined by Matthew Thomas to get an insight into our Welsh opposition. Ryan – Cardiff have got off to a fantastic start, but are you looking forward to Monday nights game at Elland Road? Matthew – We always look forward to our games at Elland Road since that infamous FA Cup game back in 2002 which has created a bit of, lets say “spice”, between both sets of fans. Leeds form has stuttered slightly recently though which has given us a bit more optimism for this game. Ryan – Sky decided to change the game to a Monday evening just 4 weeks before the match and I know plenty of Leeds fans weren’t too pleased about this. How has this gone down with the Cardiff fans? How badly do you think it will affect the number of fans you bring? Matthew – Nearly all Cardiff fans planning on traveling up weren’t happy with this. Since the 2002 game this game has always had heavy restrictions in place where fans have to meet at certain places before the games to collect tickets and such matches have seen away support numbers dwindle over the seasons as fans wont put up with it any more so support was always going to be low for this one. Moving it to a Monday night as well as having the restrictions has meant even fewer will travel now. I’ve heard we sold 800 as of Monday this week so it may rise to near 1000. Ryan – Despite his absence through injury in recent weeks, the arrival of Craig Bellamy has obviously created a lot of interest around Cardiff City. How did you feel when you first found out he might be signing for Cardiff? Do you believe his love for Cardiff is genuine? Matthew – The Bellamy rumors had been going for a couple of years now as he’s always stated he’d like to play for us with him being a local lad and with his family based here so we always knew it was likely to happen one day. When the rumours got stronger the majority still didn’t think it possible with him still having so much to offer at a higher level. Obviously when it was all announced there was a huge buzz about the club and it’s been the most exciting transfer of my +20 years as a supporter. I think he is a genuine fan, maybe not as big as some Cardiff fans like to think but he has a lot of family and friends who are big Cardiff fans so he’s been close to the club all his life really. Ryan – Last season you missed out on promotion through the play-off final at Wembley, something us Leeds fans know all too well! 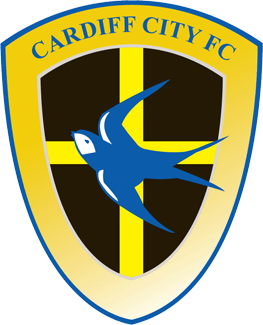 Do you think this is the season Cardiff finally go up? Where do you expect to finish in the league? Matthew – I do get a bit uneasy talking of promotion. This comes from many years of being let down by Cardiff City so over the years we’ve become a pessimistic lot, more so than most football fans I’d say. Recent years though the FA Cup run and the play off final have seen a sense of belief and optimism installed into fans. This season has a different feel about it as we seem to be able to come from behind and win more often and play bad and get something. All this with the feeling that the team hasn’t really started playing to it’s full potential yet. Whilst wincing typing this I’ll predict we will finish 2nd this year and achieve our long awaited dream of promotion to the big time. Ryan – If Cardiff were to go up, what would you say to anyone who questioned the notion of having a Welsh team in the English Premiership? Matthew – It’s a question thrown in our faces all the time. We’ve played at the top level of the English system before and we’ve been in the English system for 100 years so why question it now? Besides all this though, a Welsh club in the Premiership would surely add some much needed fire in the Premiership. We could quickly become the most hated club up there which would suit us fine if it were to happen! TSS – I think you’ll have a hard time displacing Manchester United, but good luck with that dream! Ryan – Stephen McPhail was part of our Champions League squad back in the day and we all know what Craig Bellamy’s capable of. Who else in your team should we be looking out for? Matthew – This current team is pretty much all about our front 5 players who are extremely attacking and all capable of getting goals. Jay Bothroyd is without doubt our most influential player, more so than Bellamy, so he is the one I’d say to look out for. But around the big man there is Chopra who is a very clever player and support from Whittingham and Burke in midfield who are very different players to each other but both very capable of creating and netting goals. Oh and Bellamy of course, lets not forget Craig Bellamy! 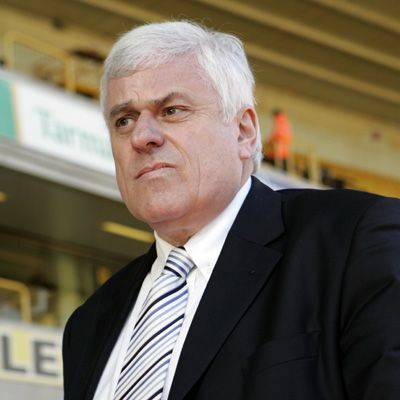 Ryan – If it wasnt for the naiveity and wreckless-ness of both our clubs ex-chairman, Peter Ridsdale, we probably wouldnt be where we are today. What do you make of him after his time at Cardiff? Matthew – Ridsdale isn’t a popular man down here. In fairness, he inherited a mess at Cardiff and the bare facts state that he turned that mess into an established Championship club with a new stadium built. Underneath those facts he did here what he did to you but on a smaller scale. He over spent with money that wasn’t there and he really did take us to the brink with many court appearances due to unpaid taxes. Luckily for us we were saved by a bunch of wealthy Malaysian’s who have since ousted him from the club all together and look to have put us on a more stable footing. Towards the end of his tenure here there were protests and marches taking place to get him out. Ryan – In the summer we signed Ross McCormack from you for an undisclosed fee. We havent seen too much of him yet, but what can we expect from him? Do Cardiff fans hold him in high regards? Matthew – Myself and many others were sad to see Ross go. At the same time though we can see why we let him go and doing so is probably the best move for everybody. His first season here was superb and he went close to being the divisions highest scorer albeit mainly thanks to scoring something like 12 pens. He’s a great little player who doesn’t stop running and has some great tricks to beat players. He’s always been a bit of a misfit though as he doesn’t seem to be a striker and he was often used on the wing. He does like his pop though and was often seen about town swigging in the early hours and he later got caught drink driving. If he can avoid all that and concentrate on his football you have a bargain on your hands there. He’ll still do the ayatollah on Monday though! Ryan – If you could sign any current Leeds player for Cardiff, who would it be? Matthew – I have to be honest and admit I know little about the current Leeds team. This is probably because of you not being in the same division as us for a while now. Davide Somma always seems to be in the goals but given our wealth of attacking options we probably wouldn’t need to sign him. We are desperate for at least one centre back as ours make too many costly mistakes and have no pace. David Batty still plays for you doesn’t he? I’ll take him. TSS – Sadly, Batts retired six years ago, but even at the tender age of 41 I still reckon he could do a better job than at least half of our current midfield. Ryan – Finally, what is your prediction for the match? I’m going to be realistic and go with a Cardiff win. I’m afraid to predict a scoreline! Matthew – We’re hitting form again lately despite not playing to potential. I’m going to plumb for a draw here which I don’t see as being a bad result for us. 1-1, Whittingham (23), Somma (67). Ryan – Thanks for taking part, enjoy the game!